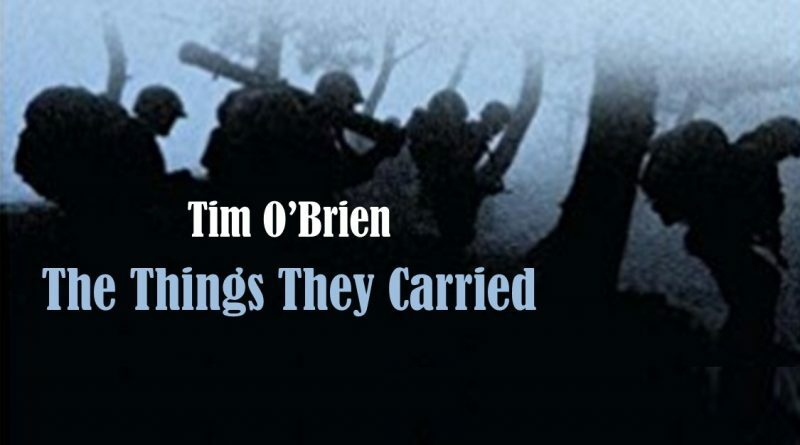 … Tim O’Brien’s modern classic, The Things They Carried, reset our understanding of fiction, nonfiction, and the way they can work together, as well as our understanding of the Vietnam war and its consequences. A classic life-changing meditation of American literature that has not stopped changing minds and lives since it burst onto the literary scene, The Things They Carried is a ground-breaking meditation on war, memory, imagination, and the redemptive power of storytelling. The Things They Carried depicts the men of Alpha Company: Jimmy Cross, Henry Dobbins, Rat Kiley, Mitchell Sanders, Norman Bowker, Kiowa, and the character Tim O’Brien, who survived his tour in Vietnam to become a father and writer at the age of forty-three. Taught every where from high school classrooms to graduate seminars in creative writing It has become required reading for any American and continues to challenge readers in their perceptions of fact and fiction, war and peace, courage and fear and longing. The Things They Carried won France’s prestigious Prix du Meilleur Livre Etranger and the Chicago Tribune Heartland Prize; it was also a finalist for the Pulitzer Prize and the National Book Critics Circle Award.